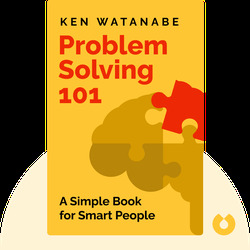 Problem Solving 101 (2009) is a short and snappy guide to problem-solving. 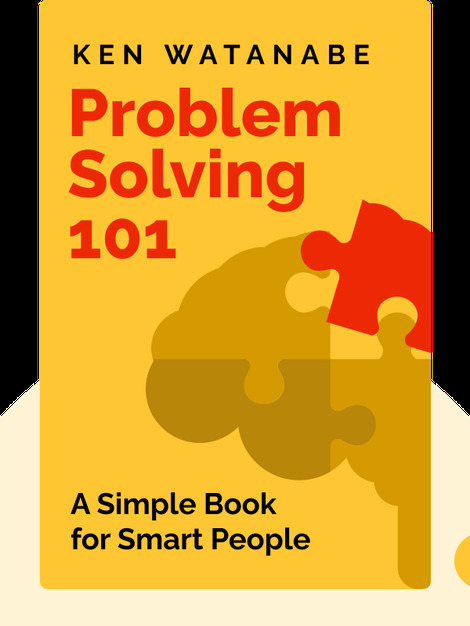 Originally written to help kids become better problem solvers, it can help anyone who wants to improve their ability to resolve issues, no matter how big or small. Ken Watanabe is a Japanese author. He was formerly a consultant at McKinsey & Company and is now based in Tokyo where he manages his own education, media and entertainment company, Delta Studios.